Rotary File for Sept. 29, 2015 | Rotary Club of Iowa City A.M.
Mike Stoffregan of the Johnson County Community Foundation was the speaker on Sept. 29. He also introduced his successor as Executive Director of the Foundation, Sheila Boyd. Congratulations to Greg Probst for reaching Paul Harris Fellowship status. Mark Patton gave one last pitch for the Noon Rotary raffle. The next Month Opener is Oct 5 at Donnelly's at 5:30. Those inclined to take a 1 hour bike ride first can meet by the Bread Garden at 4:30 and then riders will join the other MO attendees at 5:30. Brian Adamec announced that the nut sales for RYLA students is going strong. Hazel Seaba volunteered to pick up order forms from Noon Rotarians this week. District 6000 Annual Conference will be March 31-April 2 at the Holiday Inn Airport Conference Center in Des Moines. Hold the dates and get your reservations in early! John Schultz gave a strong vote of support for attendance at the next One Rotary Summit in West Liberty, Wednesday, Oct 7 from 5:30 to 9 pm (supper is from 5:30 to 6 and program after). The process John described as a "speed date" opportunity to get to know about a host of programs going on within the District. This format is highly interactive. This replaces the former fall district assembly meetings. The first One Rotary Summit is West Des Moines was highly successful. Those wishing to car pool should be parked in back of Lensing Funeral by 4:45 pm on the 7th. On a happy note, Carl Christensen contributed $85 in happy bucks in honor of his birthday. 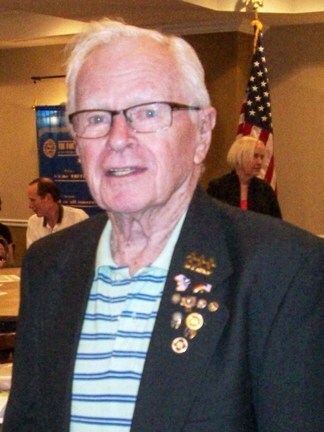 On a sad note, Carl is retiring from Rotary as of Oct. 1. You are always welcome back as our guest, Carl! There were many additional Happy Bucks contributed on a wide variety of topics and from many members. Tom Novak was in the news because someone tried to forge his signature on a prescription. The perpetrator was caught, thankfully. Chris Knapp noted that an article on Polio Plus was in the Wall Street Journal showing progress to date to end polio world-wide by 2018. Nigeria and Africa as a whole are now polio free unofficially and will be declared free officially after three years. Pakistan is taking the effort to eradicate polio very seriously and even has stiff penalties if children are not inoculated. Afghanistan continues have endemic polio, but is improving. It will take another $1.5B to complete the mission. Chris Knapp talked about the balloon release that will take place at the District 6000 Foundation Dinner on Nov. 7 with proceeds in the amount of $20.18 per balloon to go to polio eradication. Those paying for two or more balloons will get Paul Harris credit. Forms are available to submit with payments. Happy Bucks for October will go toward this balloon project. 1. He gave AM Rotary a strong thank you for all the support over the years. We generally provide about 25 volunteers each year for the Foundation golf tournament, and that tournament raises about $35,000 annually for the endowment. Many members also have contributed time and energy to the selection process for non-profit grant recipients and our Community Grants collaboration also helps to stretch the number of grants that can be supported. 2. The Foundation started in 2000 with essentially nothing, and now has an endowment of $20M. This has allowed funding of over $8M in community grants to non-profits since the beginning. 3. The grant process is ongoing each year. This past year there were abut 55 grants funded for a total of $250,000. AM Rotary funded about 4 of these projects. 4. While the Foundation does not typically run projects-- they provide the money so non-profits in the community can run the programs-- in the case of Summerships the Foundation made an exception. In this project the Foundation in collaboration with United Way and ICCSD is providing summer camp scholarships to a number of students in the community each summer. They provide up to $250 each for 84 kids to attend camp. The students are selected from among those eligible for free or reduced lunches. The program started during the summer of 2015. Sheila Boyd will be taking over as Foundation director soon when Stoffregan retires.